recommended for: Fans of Spindle by E.K. Johnston, Throne of Glass by Sarah J. Maas, and stuff about assassins. Overall, Poison's Kiss just wasn't a win for me. It started strong with an interesting premise and intriguing opening, but the plot dragged out, fell flat, and delved into some ridiculous territory. By the end, I was reading it to finish it. It wasn't painful, but I could have stopped at any time and been none the worse. This was my first exposure to visha kanyas, poison maidens who kill with touch, so that part was fascinating. I loved that it was inspired by Hindu legend--a welcome diversion from the glut of western fantasy on the market! I loved the exploration of Marinda's ambivalence towards her work: it's necessary to safeguard her brother, but the uncertainty of her victims' guilt is maddening. These aspects gave depth to a fantasy assassin tale. The characters themselves were solid, but not overly memorable. 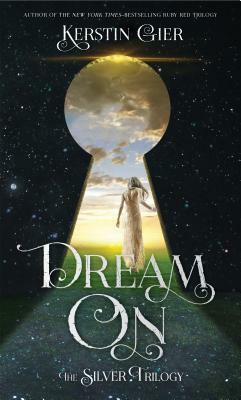 Marinda reads as a typically standard fantasy heroine, Deven as the standard strong, clever love interest. Marinda's friend and employer are much sharper and more interesting than the main characters, who fall into pretty bland heroic types. I wanted more punch. More personality. Less flailing and less acting for plot convenience rather than realism. The writing was similarly solid but unremarkable. Shields turns a number of pretty phrases and her dialogue is believable enough. However, there was nothing to catch my eye, nothing that transported me. Mechanically sound but lacking the atmosphere that makes words into art. Mediocre writing can suffice if the plot is exciting enough, but Marinda's story lost my interest. Reading was almost a chore by the end. You have a good sense of what will probably happen. Many of the twists are predictable, or so unpredictable because they don't seem to follow from any internal logic. The final twist could have been interesting--it certainly stoked my interest a little--but it was too late. Finally, there was the matter of the world. 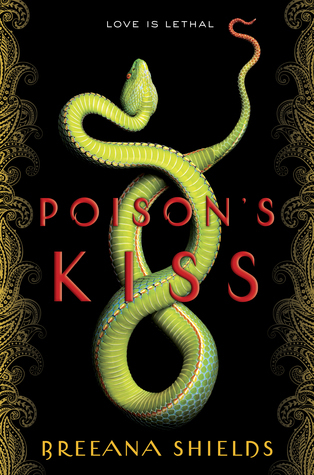 No outsider can compete with the lush #OwnVoices alternate-India of a Roshani Chokshi, but there's a vast gulf between Poison's Kiss and The Star-Touched Queen. If you've read Chokshi, you can see immediately where Shields' world is lacking. It's thin. It's like the cardboard cutout of Aladdin with a few Indian myths draped over a generic European medieval court. She certainly made an effort with characteristic foods and plausible names, and her research into Hindu folklore is evident, but even if her world were not India-inspired at all, it would still feel like naked scaffolding. There aren't the hints of depth that fill out a fantasy world: the politics, food, religion, language, scenery, customs. All the way through, I felt unmoored. All in all, it was an okay book. I don't regret reading it. I didn't grit my teeth through it like some monstrously painful review books. It was fluff, mildly entertaining and quickly passed over. Other people will undoubtedly adore the charms I missed, but this one just wasn't for me. For reviews by people who share the book's cultural heritage, Rashika and Mishma offer two differing perspectives. Poison's Kiss is a fantasy with a compelling premise but not enough substance to bear out the promise of the set-up. will i continue the series? Probably not. I'm not even curious about what happens, which is never a good sign.